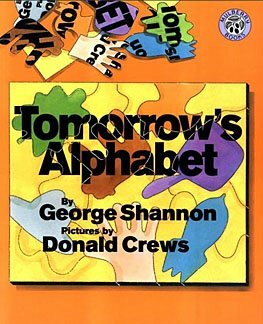 So for quite a while we have been working on books based on "Tomorrow's Alphabet" by George Shannon. 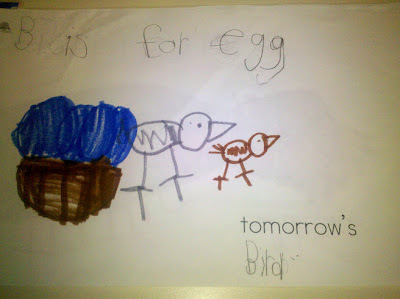 In the beginning the concept was a little difficult, but as we continued our discussion the kiddo's got better and better. Usually I picked a concept like seeds, or trees, or eggs and we brainstormed ideas. Well they really went to town on their books and they turned out AWESOME! As I was taking a few photos of some of their finished pages before they took them home, don't you know my camera battery died...UGH! These are the only ones I got. Did you know a seal has 8 legs? LOL! 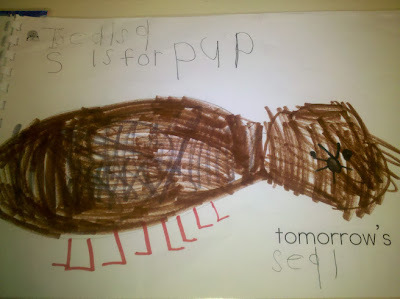 But look at that cute little face she drew!! I have 3 more days of school left. I have had such a great year I'm kind of sad it is ending. I'm getting ready for next year already though and have already started switching my bulletin boards over for next year. My class will be bigger next year so I rearranged the classroom to make sure I had enough seating room for the new bunch. My next item on the agenda is to organize my cupboards but I will wait until the kids are done so I can completely empty them onto the floor. What's on your summer classroom agenda? 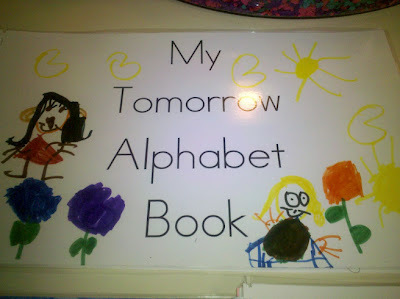 Love this book for an alphabet challenge.